Sure, there were a number of statement-making pieces like the Prism Keepall that came down the runway for Virgil Abloh’s Spring-Summer 2019 collection for Louis Vuitton, but for those yearning for pieces that are more ‘everyday’, it is safe to say that they were not disappointed thanks to a familiar silhouette. Meet the Christopher Backpack (one that made its runway debut back in Fall-Winter 2004), which has been updated and introduced in all-new materials this season, done the #VirgilAbloh way. Measuring 49 cm by 44 cm, the runway version of the Christoper Backpack GM (SGD6650) comes in full white in a Taurillon leather body, right down to the tone-on-tone hardware details and leather trims. The oversized silhouette makes it great for short trips around the region, as a gym bag or on days when you just have too much to lug around. Armed with two exterior pockets, the backpack opens via a drawstring closure to a roomy interior that’s furnished with a slot for your iPad, plus a single zipped compartment, along with two flat pockets. If you prefer a colour that’s easier to maintain, it also comes in an all-black version, one that’s given a pop of colour thanks to the addition of the orange hardware. 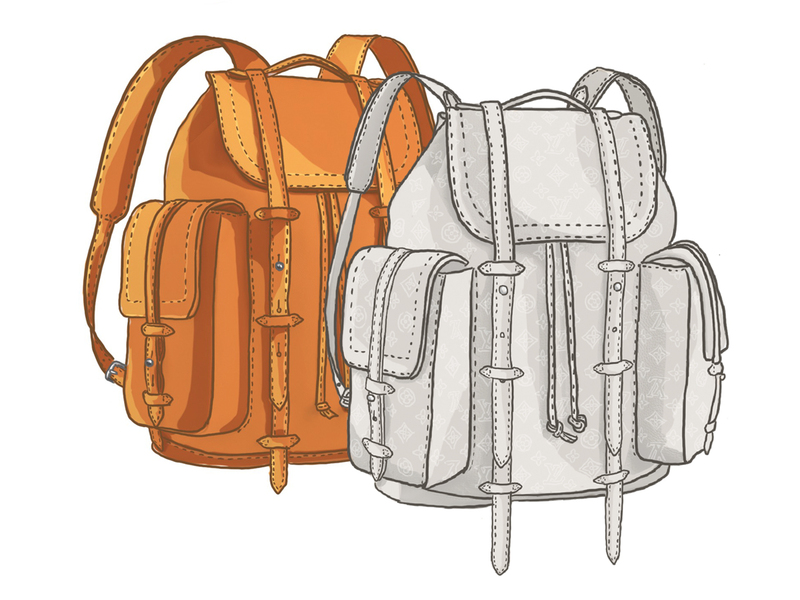 A third option of the Christopher Backpack GM (SGD6800) comes in the form of tan cowhide leather, with a smooth finish. This gorgeous piece comes without any logos, save for the logo charm dangling down the front, which can also be hidden if you prefer a more minimal-looking piece. Now available in Singapore, you’ll find all 3 backpacks at Louis Vuitton boutiques across the island.